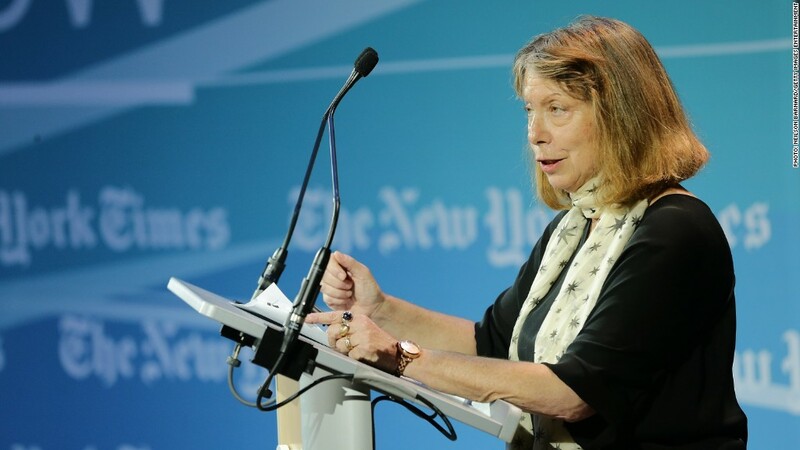 Jill Abramson, pictured at an event in April, is set to break her silence Monday in a speech at Wake Forest University..
Jill Abramson has kept a low profile since she was fired by the New York Times last week. But she is set to break her silence Monday with a commencement address at Wake Forest University. It isn't clear if or how she'll address her abrupt dismissal from the paper, the causes of which are now the subject of rampant speculation. New York Times (NYT) publisher Arthur Sulzberger Jr. has explained his version of events. But Abramson's silence has left her friends and confidants -- many speaking anonymously -- to make her case. She was announced as the commencement speaker at the North Carolina university in mid-March. The school affirmed Sunday morning that she remained on the event's program. Related: Why did the New York Times really sack its editor? Sulzberger said the reasons for her dismissal involved her management of the paper's newsroom. But some have raised questions of sexism following reports that Abramson -- appointed in 2011 as the paper's first female executive editor -- was paid less than her male predecessor. Sulzberger denied that was the case. He said Abramson's total compensation was "was comparable with (predecessor) Bill Keller's; in fact, by her last full year as executive editor, it was more than 10% higher than his." While Abramson has stayed quiet, her daughter has been more outspoken in online postings. On Friday, she wrote, "The story isn't over, not even close." --CNN Senior Media Correspondent Brian Stelter contributed to this report.